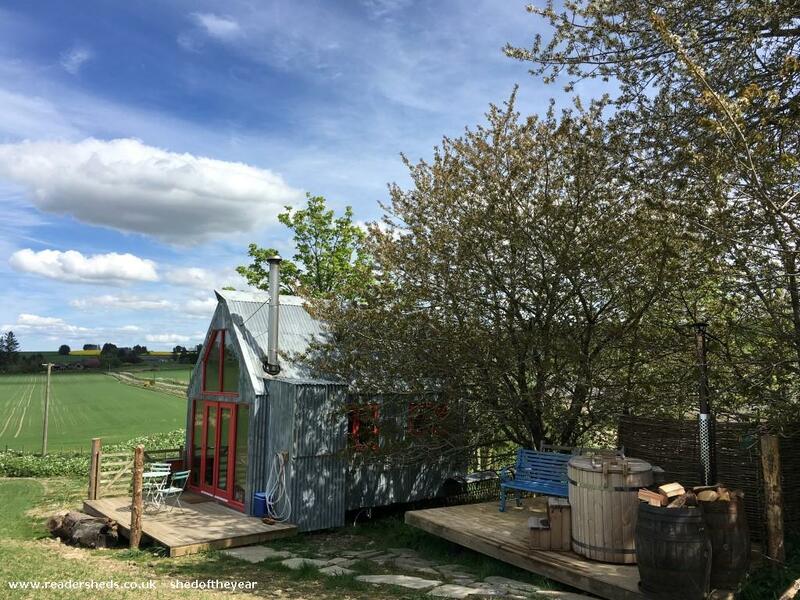 The Sheep Shed is a romantic bolthole bothy for couples to get away from the stress of every day life. 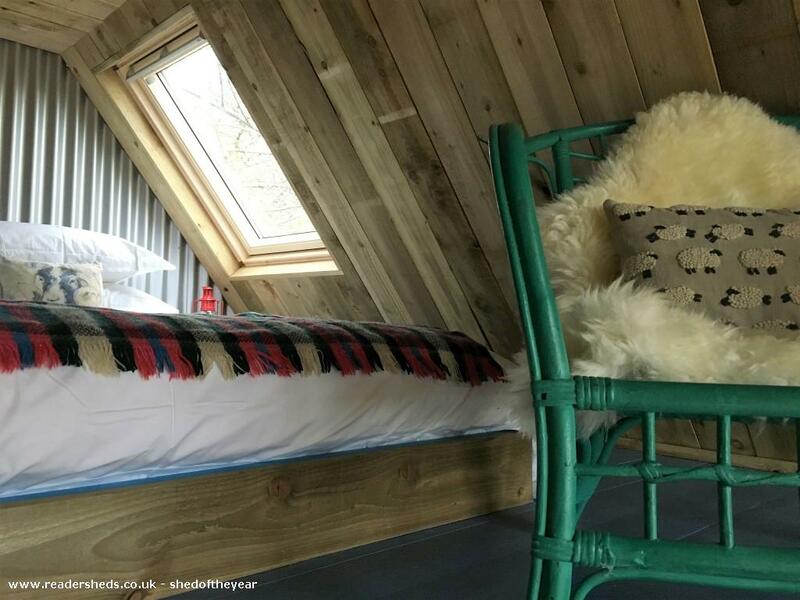 There is a luxurious king size double bed on a mezzanine which has a star gazing window and benefits from fabulous views through the glass gable end onto our glorious countryside. 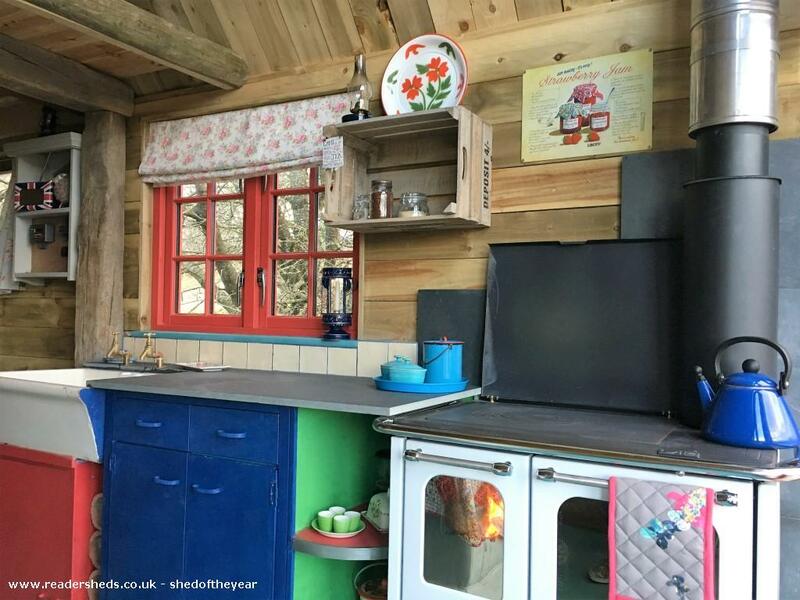 There is a wood fired range for heating, hot water and cooking and solar panel for lighting and phone charging. 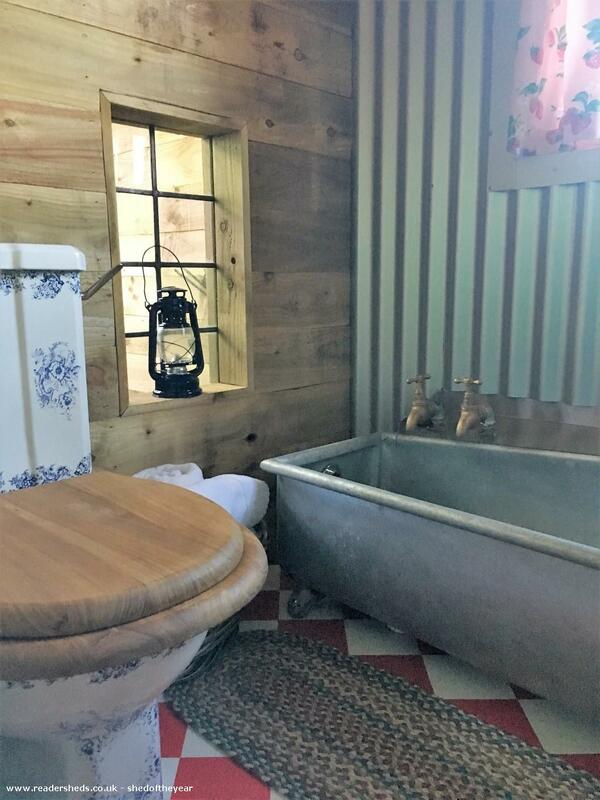 There is a tin water trough to bathe in with peepo window to gaze through the glass gablel end. 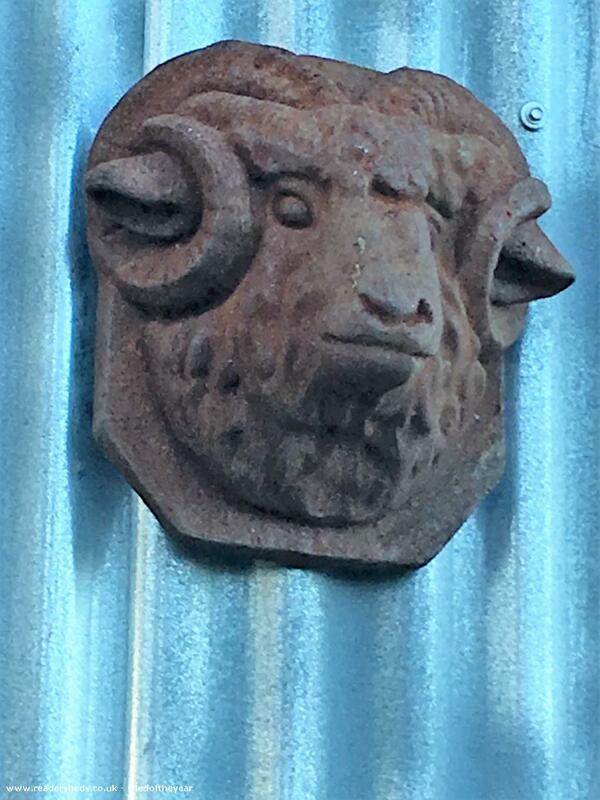 There is a wood fired hot tub on the deck outside, known as the Sheep Dip! 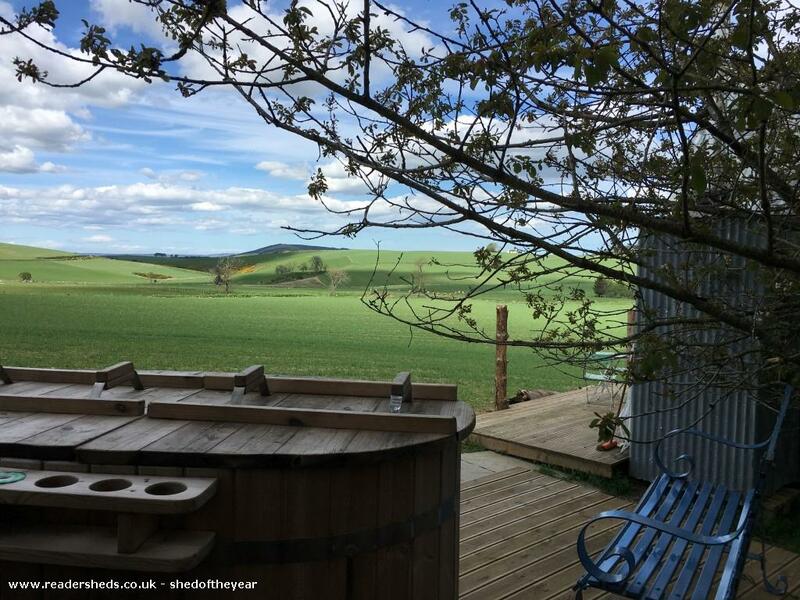 Relaxing in this gorgeous wood fired hot tub, star gazing while the log burner crackles, a glass in hand is a purely magical experience! 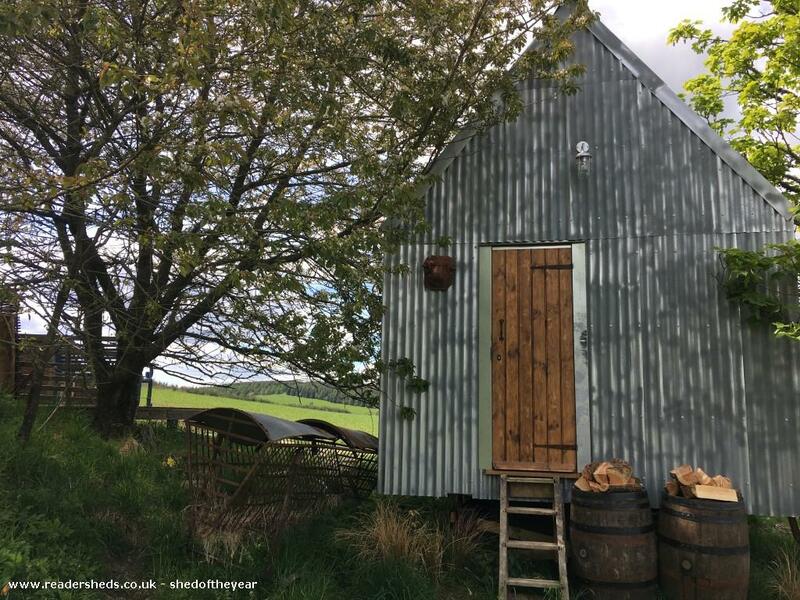 Our ethos at Boutique Farm Bothies, (we also have a tin bothy for four guests called Barley Bothy, once featured on Amazing Spaces,) to encourage folk out of their busy technology filled manic every day lives and to  Slow Down  Relax  Feel Closer to Nature  Rejuvenate! 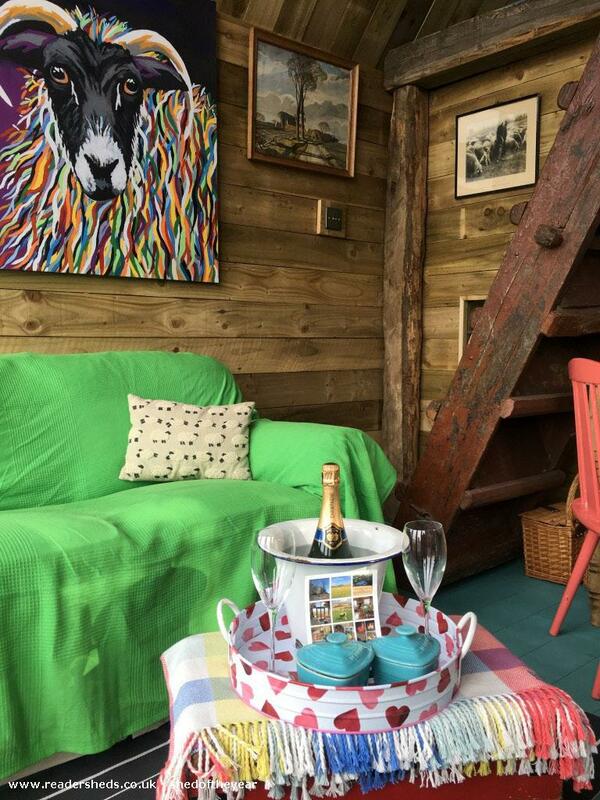 Our bothies are decorated with a sense of fun and colour where everything is up cycled and re purposed, super insulated with wool, they are so cosy even the mattress and duvet is filled with wool! 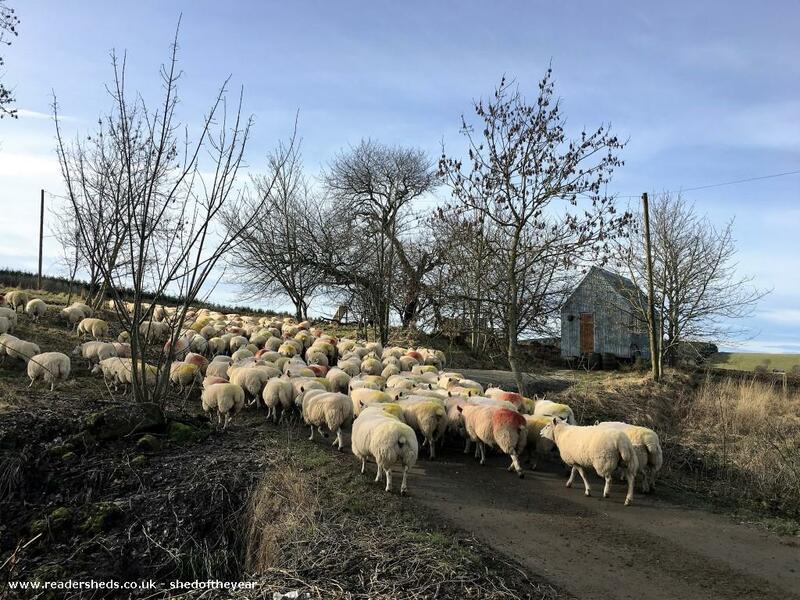 We grow strawberries, malting barley and breed sheep, the bothies sit in an ever changing landscape of our farming activities, lambing and barley production and our rich wildlife of deer, hare and pheasants. 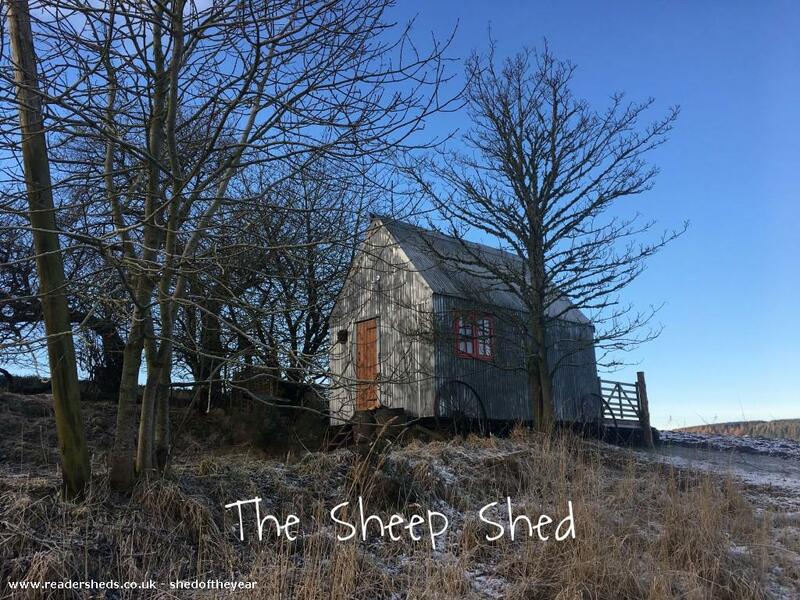 The Sheep Shed was part built by John, Jane's Dad and his worker, Anthony, in Somerset in 2016. 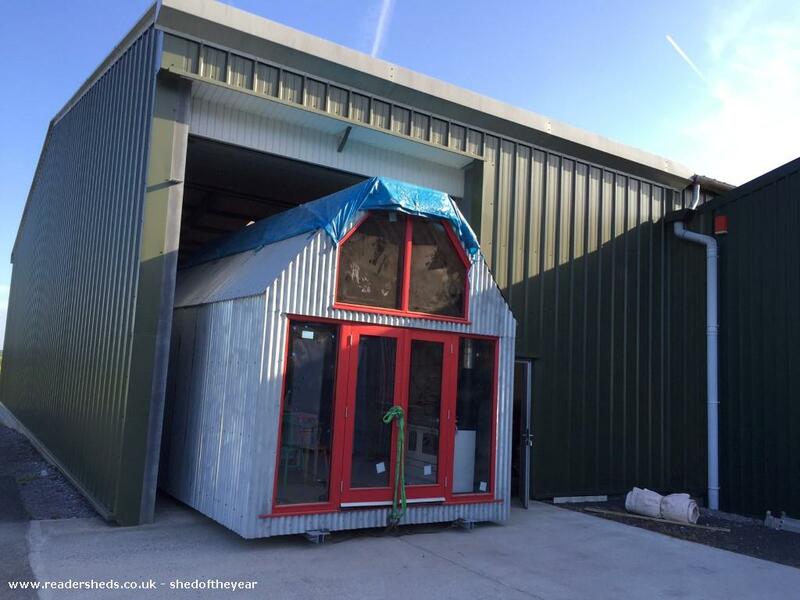 It is a steel frame with corrugated tin on the outside and wood sarking boards on the interior. 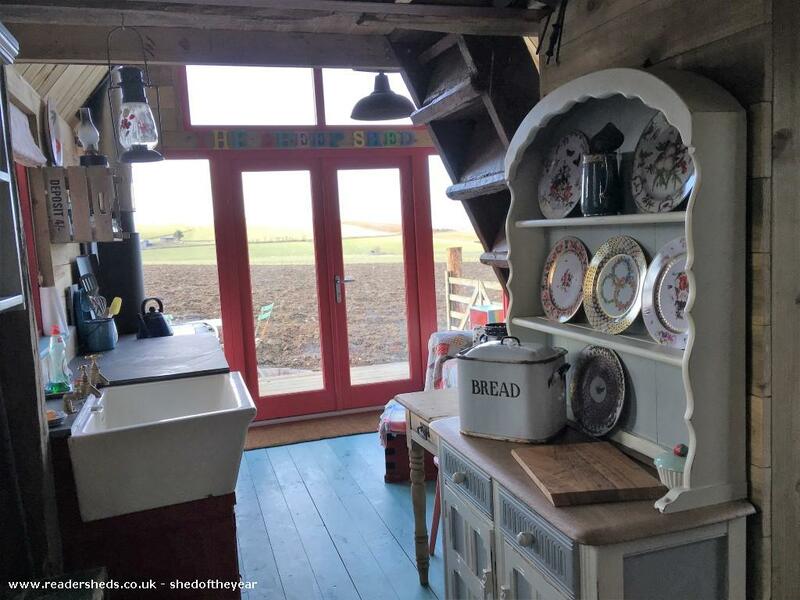 The windows were made by a manufacturer local to Jane and James in Huntly and were delivered to Somerset to be fitted. 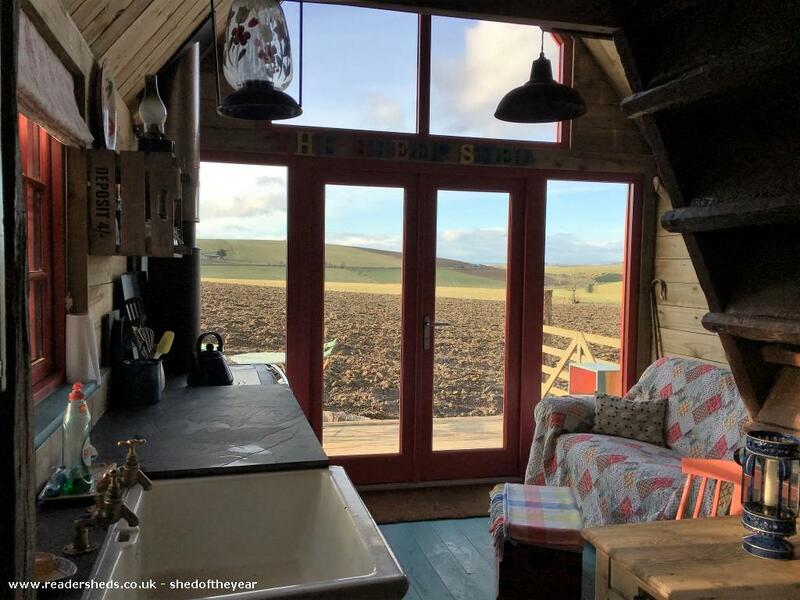 The gable end looking out across the barley field and sheep is entirely glass to make the most of the glorious views. 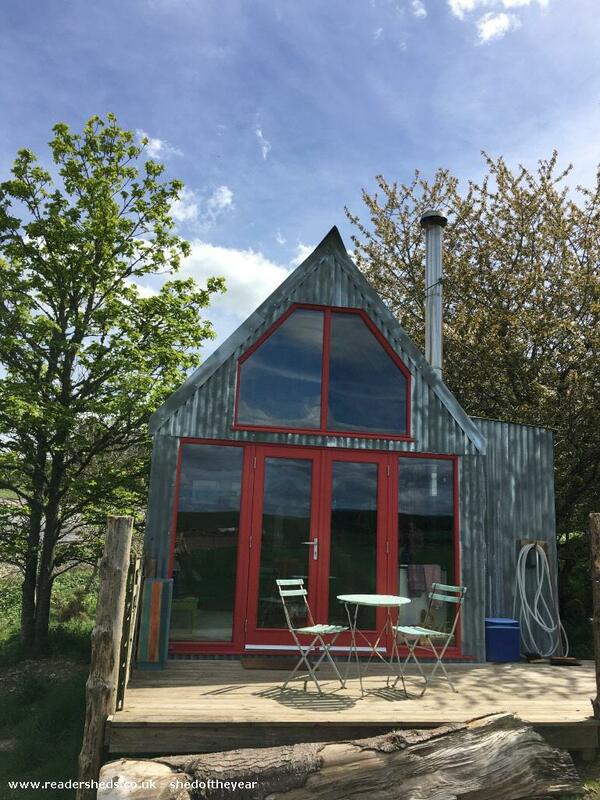 John and Anthony fitted the wood burning stove, bath and sink but the rest was left to James to complete on site. 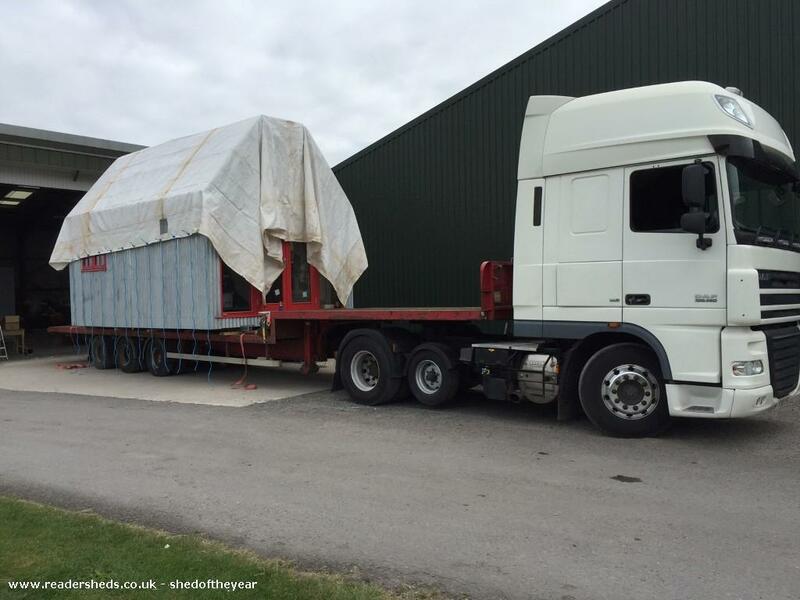 So it was then transported on a lorry up to Jane and James' farm in Aberdeenshire in August 2016. James and his father, Philip, set it onto site in the barley field. A true family affair! 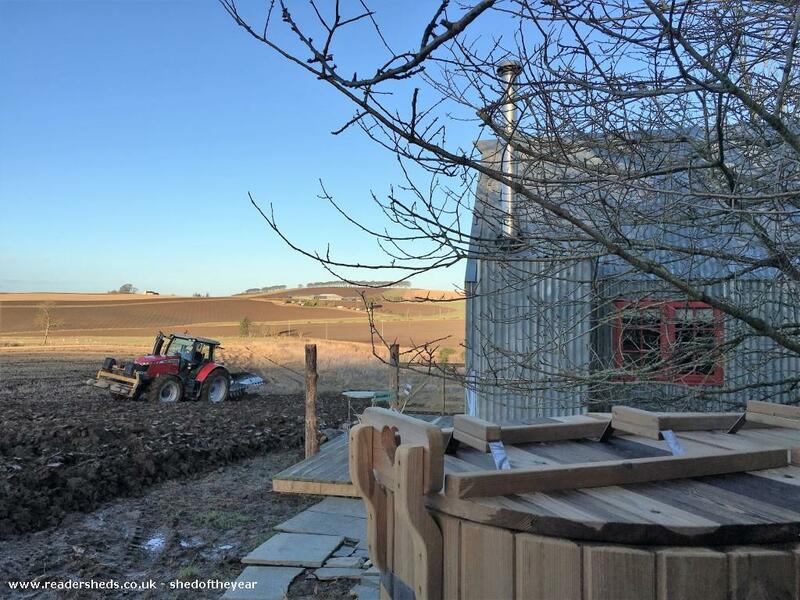 The Sheep Shed is on castor wheels and sits on a metal track which in turn is set upon 10 fence posts sticking up out of the ground. 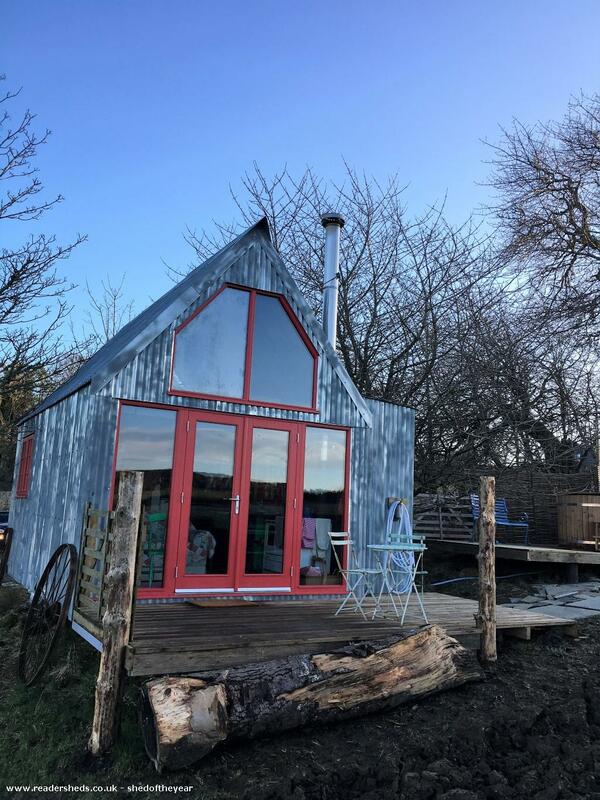 James fitted the interior and completed the build in time for the first guests for Christmas 2016.